The Nartel Family Foundation was started by Werner Nartel in 1990. The foundation began as the Nartel Wildlife and Bird Sanctuary due to Mr. Nartel’s great interest in nature. Mr. Nartel had developed a wildlife bird sanctuary in Grand Blanc, Michigan, where he raised and cared for many exotic birds, most importantly, the crane. In 1995, the foundation turned its’ focus to benefit the community and aid in charitable causes. Werner Nartel was born in Berlin, Germany in 1912, one of three brothers. At the age of 22, being aware of the political climate in Germany, Mr. Nartel came to the United States with his parents. He eventually settled in Genesee County, Michigan and established a very successful jewelry business. Werner Nartel was well known throughout the Genesee County area as a businessman who cared a great deal about his community and never forgot how fortunate he was to be in America. Mr. Nartel passed away in 1997 and was able to leave a legacy in the form of the Nartel Family Foundation. Our logo of the crane was developed by a student from Charles Stewart Mott Community College in Flint. 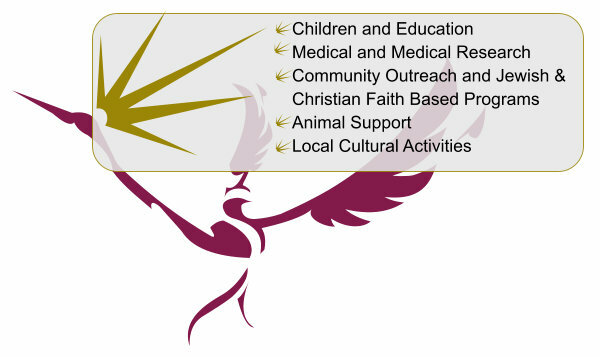 You will notice that the crane in the logo has a five point crown which symbolizes the five areas of giving. It also reminds of us the original focus of the foundation. The Nartel Family Foundation seeks to help and improve the lives of people and programs that fall within our five general areas of support.